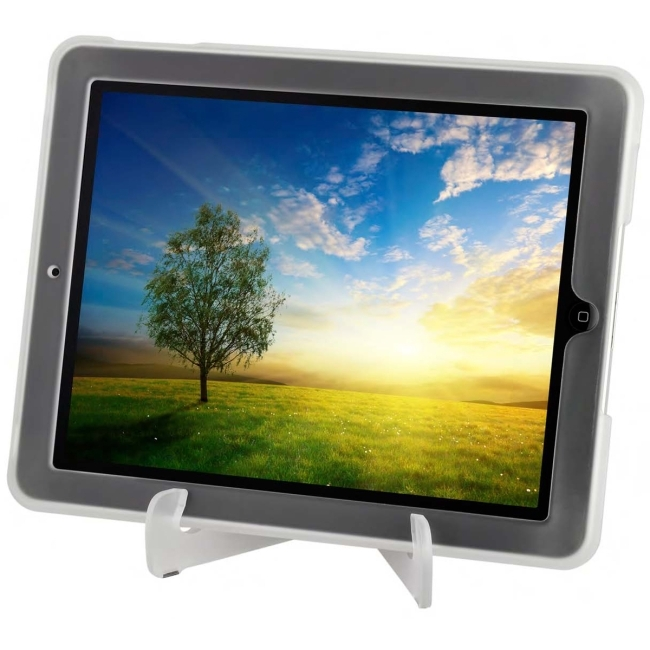 With an ultra-lightweight polycarbonate chassis, the iSee creates a sleek, low-profile shield around your iPad. Add to that a rich rubber texture finish for a more secure, comfortable grip and you will know, without a doubt, that your iPad is safely protected. So grab your iPad and travel without worry or place it on the included stand to watch a movie or type an e-mail. The iSee iPad has you covered. A polycarbonate collapsible stand is included.